Eric, who experiences depression, has been registered with WISE Employment Cabramatta since August 2017. 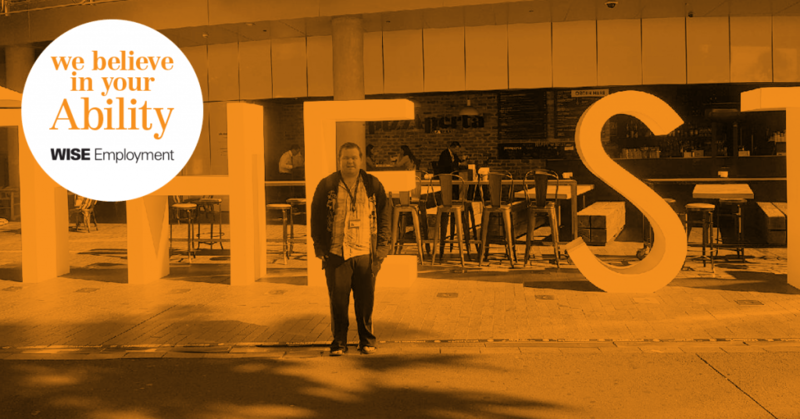 Within just two months, he landed a dream role as a steward at The Star Sydney Before connecting with WISE Employment, Eric had been unemployed for over two years. He was feeling deflated and lacked motivation. Eric filtered through job agency after job agency without any results and it wasn’t until he connected with WISE Employment Consultant, Maizie, that he felt truly cared for. Alongside Eric, Maizie worked hard to help prepare him for the workforce; she updated his resume, coached him for interviews and referred him to the Dress for Work service to obtain appropriate interview clothes. In late November last year, all their hard work, persistence and patience paid off with Eric securing employment at The Star Sydney. “We’re so proud of Eric. Each time we speak, he’s still so happy and excited to have found a stable job and income. He no longer has the problem of thinking about where he’ll get the money for rent and food,” says WISE Employment Cabramatta DES Business Manager, Vangie. Eric loves his new role as a Steward, he supports the chefs and supervisors in the kitchen with tasks such as washing dishes, sweeping and mopping floors and cleaning equipment. “I’m so grateful for WISE Employment, I love this job and they helped me get it. Vangie was always on my side when I wanted to give up. Most job agencies don’t help, you’re just another person to them, but WISE allowed me to see the good side of a job agency,” said Eric.